There have been many studies published recently that show a direct link between the consumption of red meat and significantly increased cancer risks. Three kinds of cancers: breast, colon, and prostate cancers were the most heavily studied, but other cancers, like leukemia, have been studied as well. In populations where there was consumption of unprocessed red meat and processed meats, showed higher rates of developing cancer than those who have a high fiber, plant based diet like those of vegetarian or vegan diet. A study conducted in Germany showed that those with a plant-based diet had a 40% reduced chance of developing cancer versus those who were regular meat eaters. Processed meat are products including bacon, hot dogs, and deli meats. Meat contains no fiber or other prophylactic nutrients like fruits and vegetables do. It also has meat proteins, saturated fats, and sometimes carcinogenic compounds. Two of those compounds are heterocyclic amines (HCE) and polycyclic aromatic hydrocarbons (PAH). When any meat protein, not just read meat, is cooked or processed at high temperatures results in the creation of HCE. The greater the temperature, the more of these compounds are present in the food. Additionally, meat and other animal products contain fats that can increase hormone production, elevating the risk of hormone-related cancers, like breast and prostate cancer. There is also a link between high levels of PAH and stomach cancers. In 1940?s Japan, those who ate a traditional diet where they consumed less than 10% of their calories from fat showed a significantly lower rate of breast cancer. Like those women who changed their eating habits to a westernized diet based on meat and 30-35% of their calories from fat showed a significant increase in breast cancer. A study of premenopausal women conducted by Harvard University showed that there was a link between increased risk of breast cancer and a diet containing red meat and high-fat dairy products. This was not the case with any fats obtained from vegetables. A study by the Ontario Cancer Institute confirmed this with a 17% increased risk of consuming meat and a 19% increase from high saturated fat. Harvard University conducted studies on the link between red meat and colon cancer. The red meat studied included beef, pork, lamb, and other processed meats. Recent publications detailed the results of the study that began following their participants in 1982. It showed that those with high red meat consumption had a 30-40% increased risk of colon cancer and those who consumed high amounts of processed meat were at a 50% higher risk. 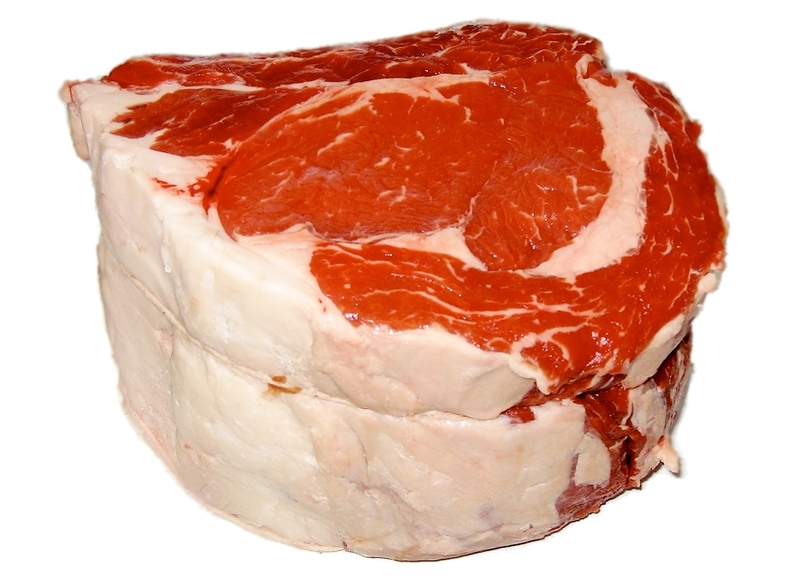 High red meat consumption was defined at 3 oz. for men and 2 oz. for women daily. High processed meat consumption was defined at 1 oz. eaten 5-6 times a week for men and 2-3 for women. Even the consumption of white meat, like chicken, showed a 3% increase in risk versus those with a vegetarian diet. Leading cancer for men in the U.S., is prostate cancer. Another Harvard University study conducted looked specifically at plasma fatty acids versus prostate cancer risks. Those who consumed red meat, at least, five times a week had a 2.5% elevation in risk than those who ate red meat less than one time a week. A study published in the Journal of Human Nutrition and Dietetics looked into diet modification regarding reducing the risk of prostate cancer. Their results showed that a reduction (or elimination) of red meat, dairy, fat, charcoal cooked meats, highly processed meat, and calcium yielded benefits in both prevention of prostate cancer and those in treatment. There are countless other forms of cancer and have also shown that there is a direct correlation between red meat consumption and cancer. Studies regarding cancers of the kidney, pancreas, renal, leukemia, multiple myelomas, and non-Hodgkin lymphoma show that there is an increase in risk in there in the population who ate red meat. Additionally, foods with a high glycemic index, like white bread and white potatoes, affect insulin-like growth factors that play a significant role in tumor development. With all the modern studies on diet versus cancer risks, there are two underlying themes. Diets rich in fruits and vegetables help to decrease cancer risks while animal products, including meat and dairy, show an increase. The high-fiber from plants give the body nutrients, like antioxidants and phytochemicals, that help decreases the risk of cancer cell growth. Both hormones from saturated fats and the carcinogenic compounds found in red meat and animal products have a relation to the elevated risks. The increase or decrease in risk of cancer does not involve other risk factors, like genetic, but only adds to the overall risk factor of a person. Why do we consume milk? Dominion – Who are you? Will Arnold Schwarzenegger Become Vegan? Enter your email address to subscribe to beegans.com and receive notifications of new posts by email. Beegans Online Copyright © 2019.